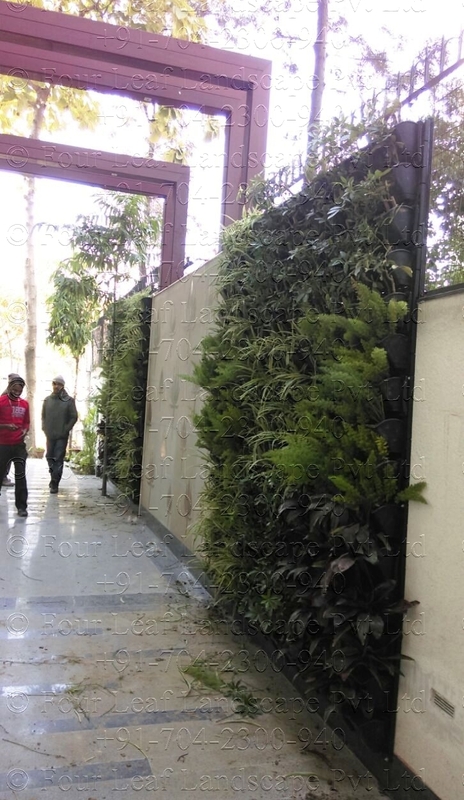 These are the various vertical Garden projects executed by our company in various parts of Delhi NCR. 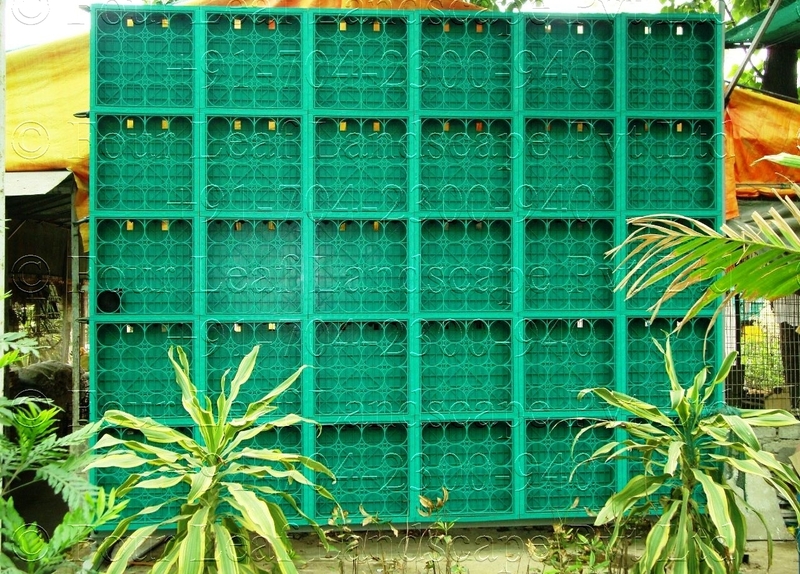 Loose medium walls tend to be “soil-on-a-shelf” or “soil-in-a-bag” type systems. Loose medium systems have their soil packed into a shelf or bag and are then installed onto the wall. These systems require their media to be replaced at least once a year on exteriors and approximately every two years on interiors. Loose soil systems are not well suited for areas with any seismic activity. Repairs can only be made by re-stuffing soil into the holes on the wall, which is both difficult and messy. Loose-soil systems should not be used in areas where there will be a lot of public interaction as they are quite messy and lose their soil little by little over time. Most importantly, because these systems can easily have their medium blown away by wind-driven rain or heavy winds, these should not be used in applications over 8 feet high. 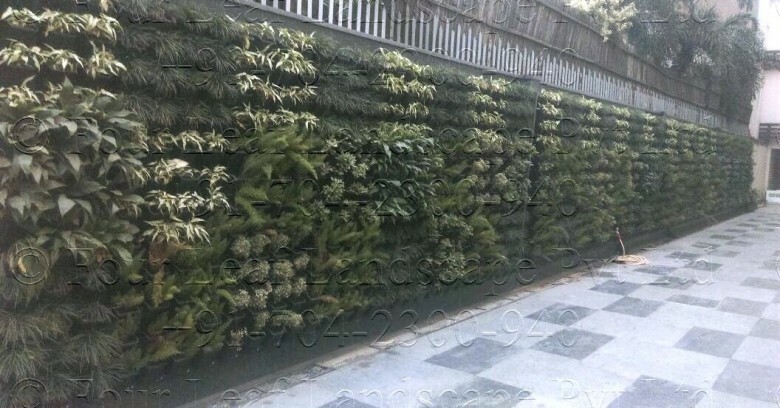 There are some systems in Asia that have solved the loose media erosion problem by use of shielding systems to hold the media within the green wall system even when soil liquefaction occurs under seismic load. In these systems, the plants can still up-root themselves in the liquified soil under seismic load, and therefore it is required that the plants be secured to the system to prevent them from falling from the wall. 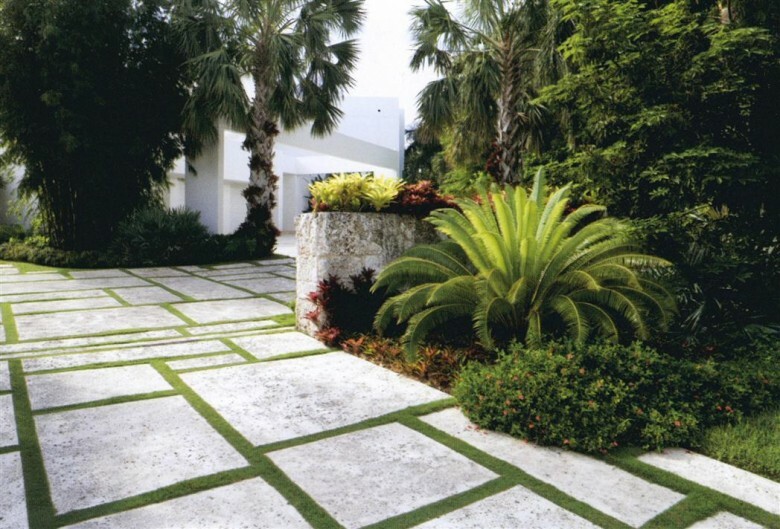 Loose-soil systems without physical media erosion systems are best suited for the home gardener where occasional replanting is desired from season to season or year to year. 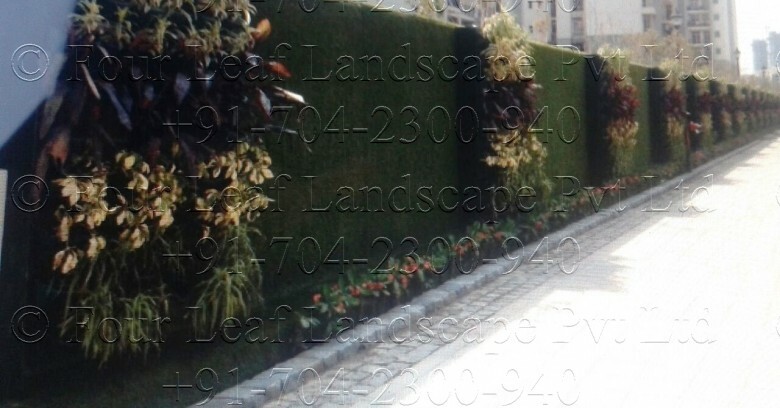 Loose-soil systems with physical media erosion systems are well suited for all green wall applications. Structural media are growth medium “blocks” that are not loose, nor mats, but which incorporate the best features of both into a block that can be manufactured into various sizes, shapes and thicknesses. 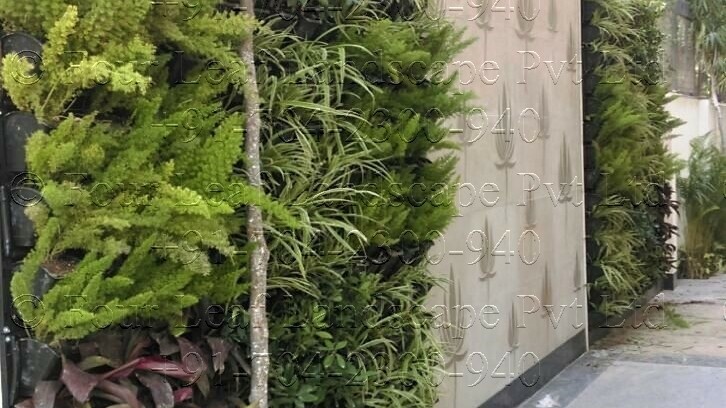 These media have the advantage that they do not break down for 10 to 15 years, can be made to have a higher or lower water holding capacity depending on the plant selection for the wall, can have their pH and EC’s customized to suit the plants, and are easily handled for maintenance and replacement. 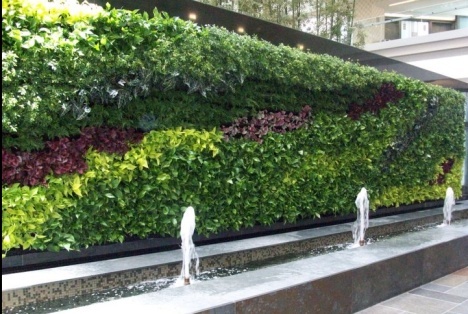 They are the most robust option for a living wall in both exterior and interior applications. They are also the best choice in areas where high-winds, seismic activity or heights need to be addressed in the design. Structural media are superior to the other media for their longevity and high-level of performance in a variety of circumstances. Depending on the installation, they do tend to be more expensive to install, but lower cost to maintain. There is also some discussion involving “active” living walls. 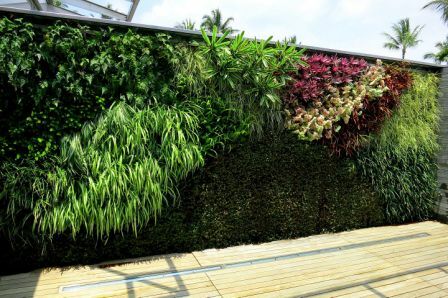 An active living wall actively pulls or forces air through the plants leaves, roots and growth medium of the wall and then into the building’s HVAC system to be recirculated throughout the building. A problem with these systems is that building code still requires all the standard air filtration equipment that would have to be installed anyway, despite the living wall’s installation. 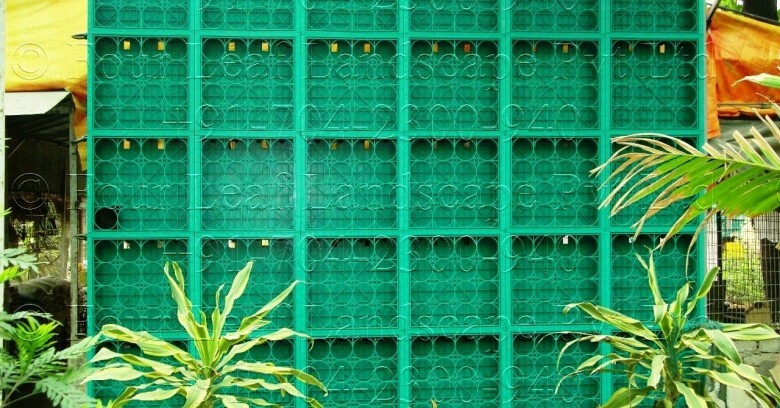 This means that active living walls do not improve air quality to the point that the installation of other air quality filtration systems can be removed to provide a cost-savings. 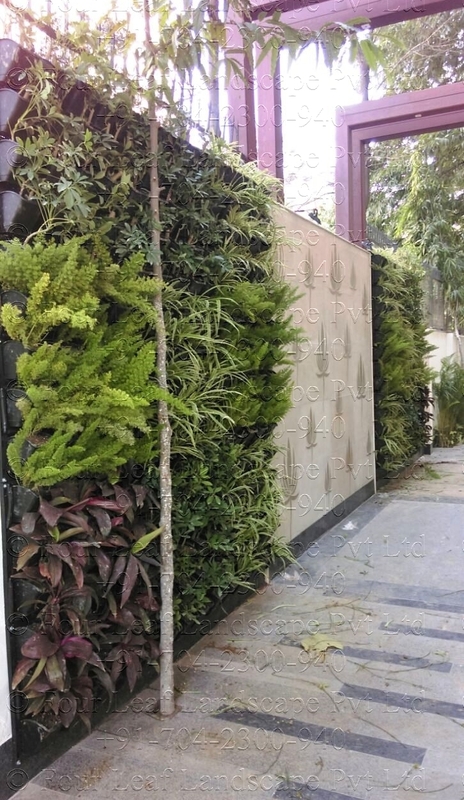 Therefore, the added cost of design, planning and implementation of an active living wall is still in question. 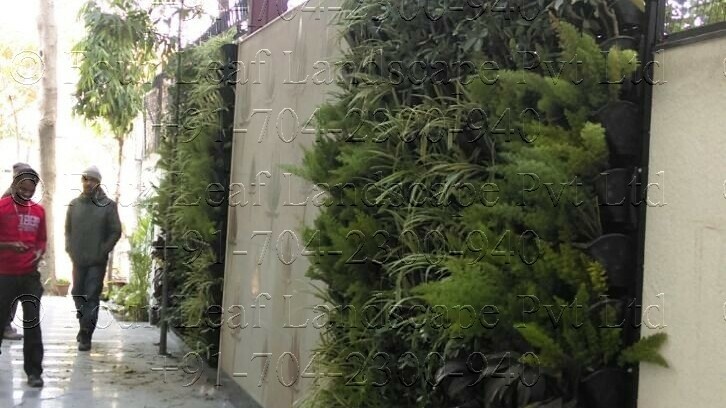 With further research and UL standards to support the air quality data from the living wall, building code may one day allow for our buildings to have their air filtered by plants. The area of air quality and plants is continuing to be researched. The majority of the research cited is from NASA’s studies performed in the 1970s and 1980s by B.C. Wolverton.There was also a study performed at the University of Guelph by Alan Darlington. Other research has shown the effect the plants have on the health of office workers.“The Effect of Indoor Foliage Plants on Health and Discomfort Symptoms among Office Workers”. 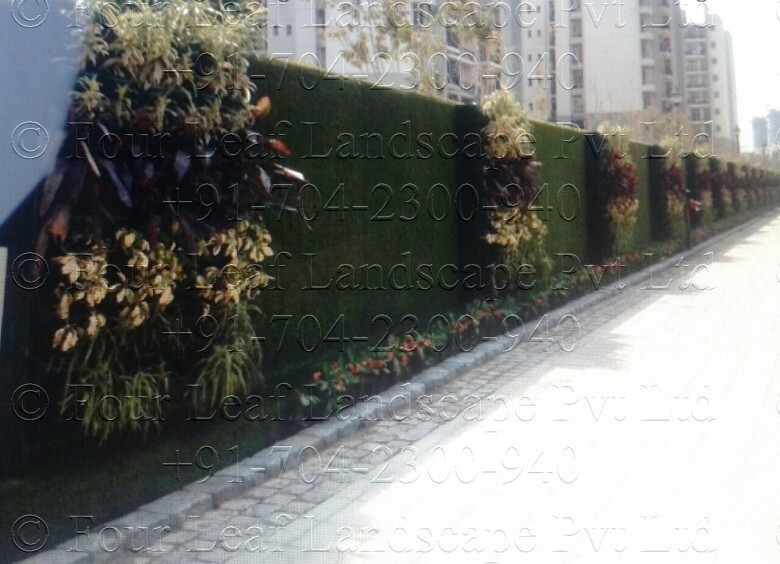 Retrieved 2010-12-23..
Landscape Architecture in India: Rising Trend ?? 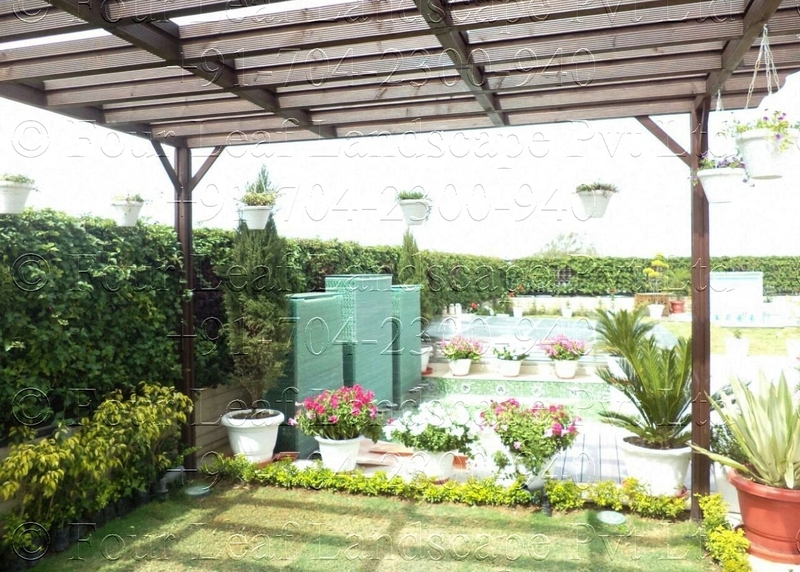 It’s not surprising to see beautiful garden in front of an individual houses and it excites us, why we cannot have that at our apartment also? 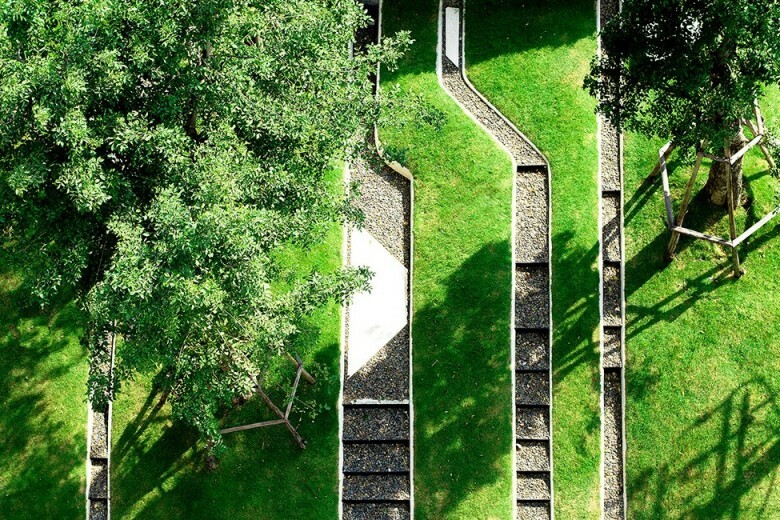 Well, the trend of landscape architecture is catching up in India. Nowadays, all the major developers are concentrating not only on the quality construction of the project, but they are also interested in offering a beautiful environment to the residents. 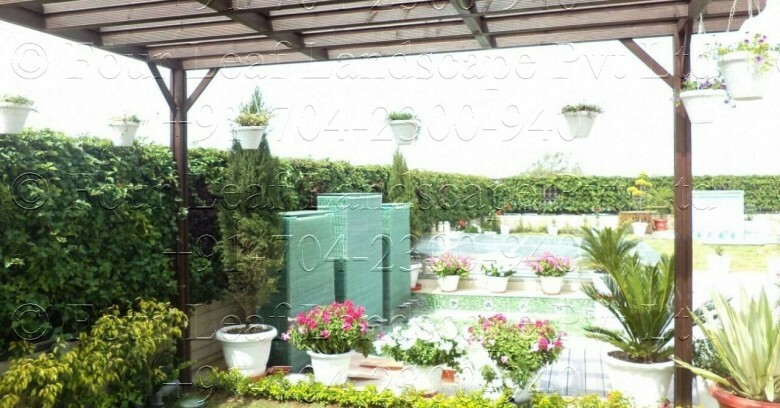 For this, they are keen on designing landscape architecture. After a long day in office and a long time spent in traffic, even the people want to have a cleaner, greener, and health-oriented home, where they can come back and relax. 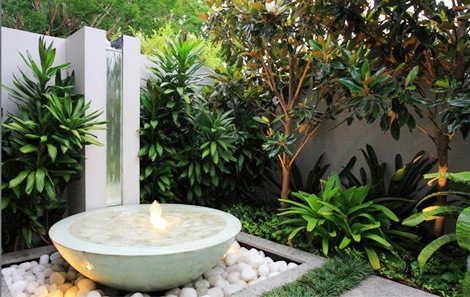 Hence, developers make sure that the project has a good amount of greenery with themed gardens to make a person feel relax and to rejuvenate his mind. Why do developers want it? A well-planned landscape offers pleasure to the family, enhances the neighbourhood and completely transforms the area into a spectacular place. It also increases the property resale value. Nowadays, the project is constructed in such a way that, one can easily enjoy the stunning landscapes from majority of apartments. This kind of design improves the saleability and they can also ask for a premium through PLC (Preferred location charge), which buyers pay it without hesitating. They know that such additional features like a golf course, or a park adds value to the project. In big metro cities, where there is no land parcel left, if the developer offers beautiful and spacious landscapes then it increases the project’s cost considerably. It may cost the developer an additional Rs. 500 per square feet. But, such landscape brings and added advantage and whatever the extra costs the developer had spent get offsets easily. There are four main ways to describe lines: curved, straight, horizontal, and vertical. None is more important than the others — each has different effects. Strong lines can draw your eye into the landscape, directing both where people look and where they go. No matter which types of line you use, be aware that lines lead the eye. Lines going away from you on the ground draw you forward. Horizontal lines on the ground slow you down. Vertical lines lead the eye up and out of the garden. Curving lines take the eye on an intriguing journey. All are desirable. It’s up to you to know where the lines will lead you or your eye and what you will see when you get there.